Pet friendly holiday at Babell Cottage. These are the reviews for Babell Cottage. There are 20 reviews. Lovely cottage in a quiet spot. Probably the most expensive cottage we have booked and the least well equipped. No tea pot? No welcome pack? Had to use double and a single bed as double bed too small. Very nice quiet area. Owner very nice. The details to travel to the cottage were very accurate and the cottage and contents were more than adequate. The Location was very good with own transport,access to local beaches,pubs and restaurants was within 10/15 minutes and gave varied options The owners were friendly,very approachable and offered advice as to where to visit/dine etc. The gardens were very pleasant and safe with gates which provided safety for our dog. Local walks are excellent and beaches accessible and clean. We were also fortunate to have excellent weather and the holiday was very successful. Beautiful location, not too far from shops and gorgeous beaches. The cottage itself was ideal with a lovely secure garden and well laid out interior. Great place for a get-away-from-it-all break! Myself, my wife & our little dog Freddie adore the place. Will definitely return next year! Only negative was lack of wifi but we can live without for a long weekend! The cottage, in a beautiful location, on God's little island - met expectations, the owner's were a delight, welcomely, informative and would go the extra mile to ensure that your stay was comfortable and pleasant. We enjoyed the visit so well, that we would like to make it a regular occurance. We would recommend the cottage and location to all. 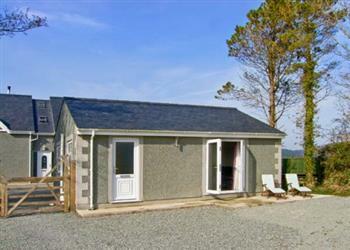 The cottage was in a great location for privacy, the owners are fantastic people too. The beach was a short distance by car and was brilliant. Really great place for our dogs to stay and they loved walking on the sandy beach too. The accommodation and setting were very picturesque, and there was enough garden to play games with my granddaughter. It is local to many areas worth visiting. We had a very restful stay. Nice clean accommodation in a quiet location, ideal for our requirements. Had pleasant and helpful owners. "The location was great; close to the coast in a nice quiet spot with beautiful country side all around. 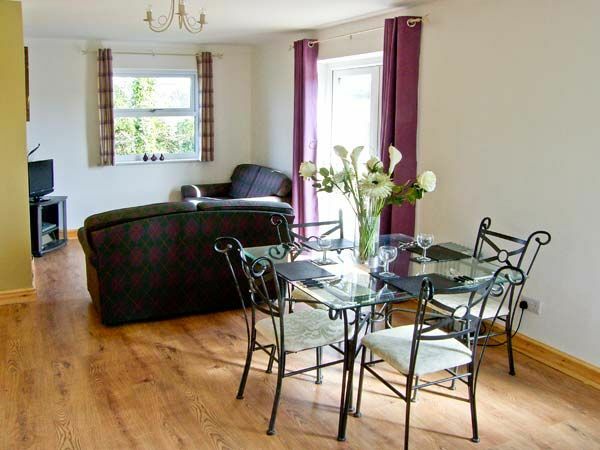 The owners were very helpful and friendly and the cottage was of a good standard." The cottage was very clean and well maintained and there was everything we needed there. Have just come back from our stay at babell cottage couldn't have asked for more, clean, well equipped with a very large enclosed garden great for the dog. We were made very welcome and would recommend to anyone. Very clean, well equipped. Would definitely recommend. The quiet location and nearby spectacular beaches - wonderful. Very friendly welcome - the Owner suggested visiting a local beauty spot we may have otherwise missed and this was the highlight. Loved the location! Beautiful view too! Loads of space for a relatively small cottage. Was very pleasantly surprised at the lovely gift basket provided. Very helpful and pleasant owners. Just perfect for our weekend break! Nice and remote. Just loved it! Lovely cottage which was extremely clean and contained everything we needed. The owner was very friendly and helpful. We would highly recommend Babell Cottage. Very friendly home owners. Nothing was too much trouble. Dog friendly too. Almost brand new accommodation - very fresh and clean. Excellent location - very peaceful, with plenty of outdoor space. Not far from beach, shops and amenities. We loved it! The cottage was well situated for getting to the places that we wanted to go to. It had lovely views out of the windows, and it was very light. The contact we had with the owners was friendly and helpful. If you're looking for other cottages around Babell Cottage, we've got some cottages below which may take your liking. There are 89 cottages within 5 miles of Babell Cottage - and they have reviews too.